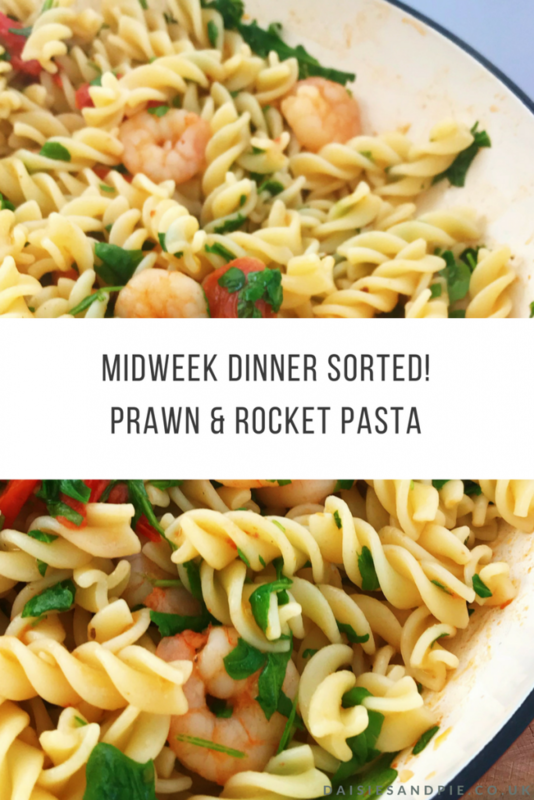 You could be tucking into a bowl of delicious Prawn and Rocket Pasta in less than 20 minutes, it’s perfect for weeknights, flavoursome and easy to make, a great summer dinner. Put the pasta on to cook as per the packet instructions - add sea salt and a splash of olive oil to the water. Whilst the pasta cooks, get on with making the sauce. Add a splash of olive oil to a large saucepan, tip in the garlic and add a pinch of chilli flakes. Tip in the prawns and stir fry briskly until cooked through properly. Stir in the sun dried tomato paste and baby plum tomatoes and cook over a medium heat until the tomatoes are softening. Add the wine and lemon zest - and turn up the heat. Drain the pasta and tip it into the sauce, add the rocket and stir everything together. To serve divide between the bowls and eat straight away. 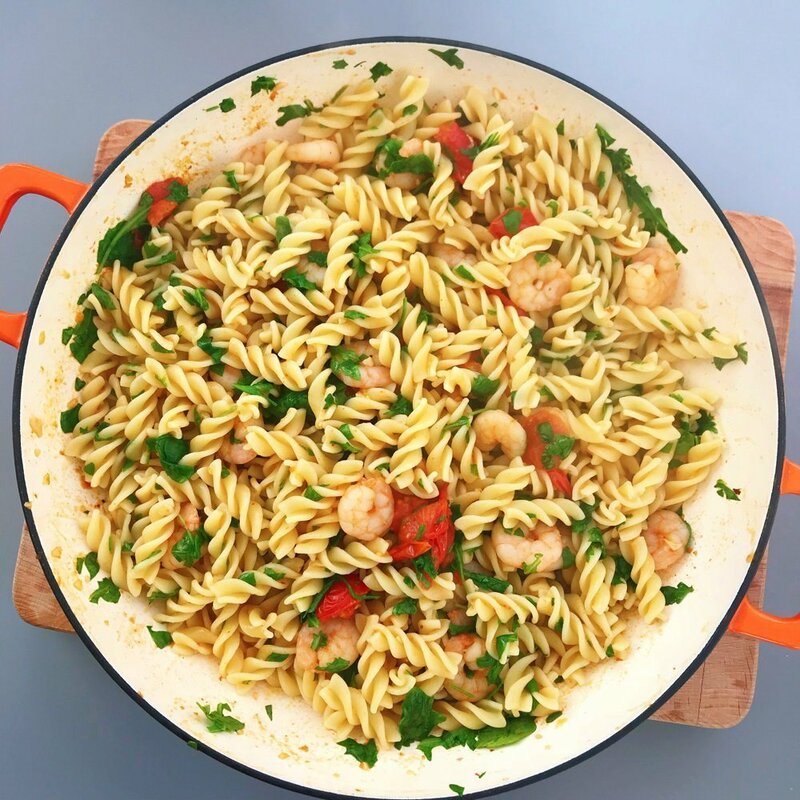 Switch the pasta shapes – try linguine or penne. Switch the rocket for spinach for a milder tasting dish. 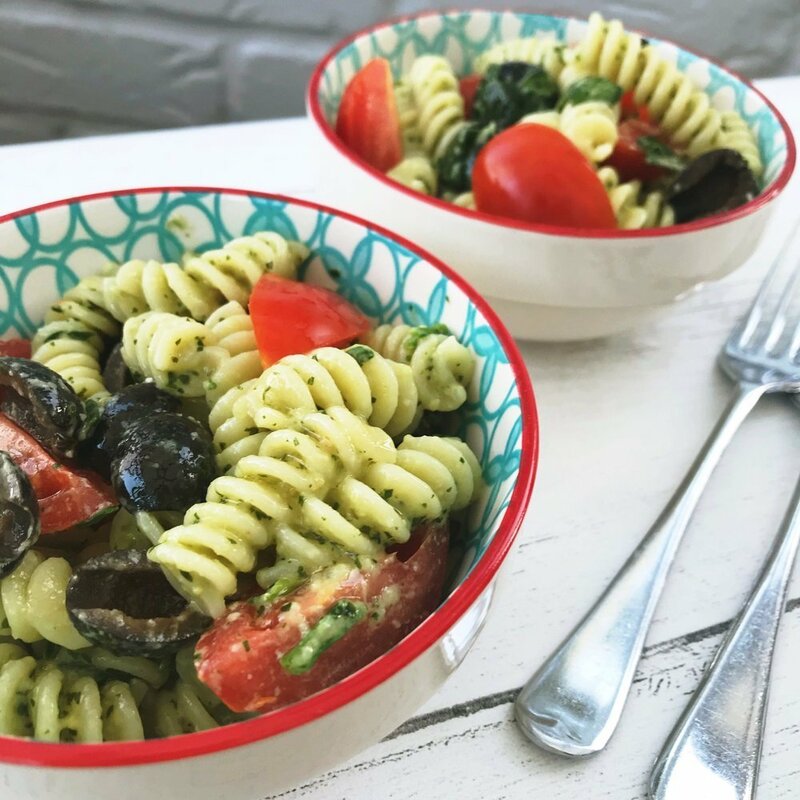 Delicious for midweek dinner – add a side of tomato salad or fresh green salad on the side.